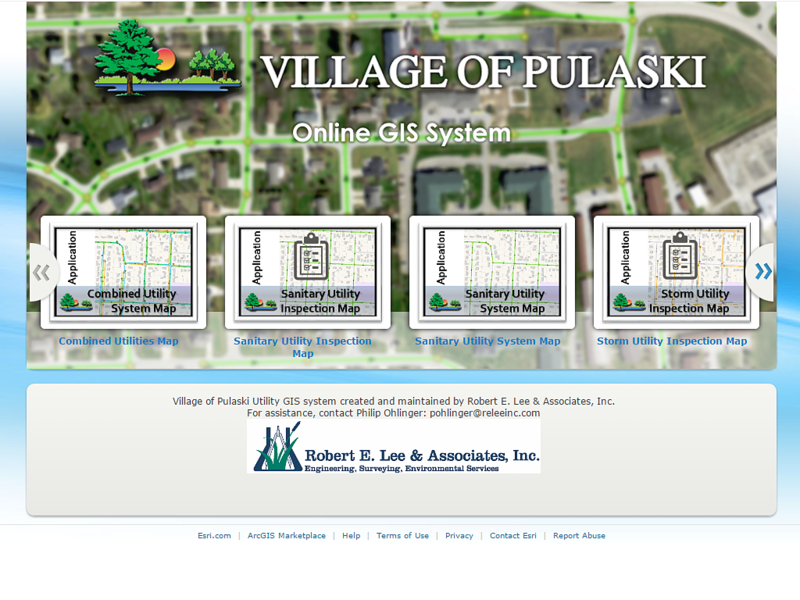 Pulaski Wisconsin Utility GIS - Robert E. Lee & Associates, Inc. 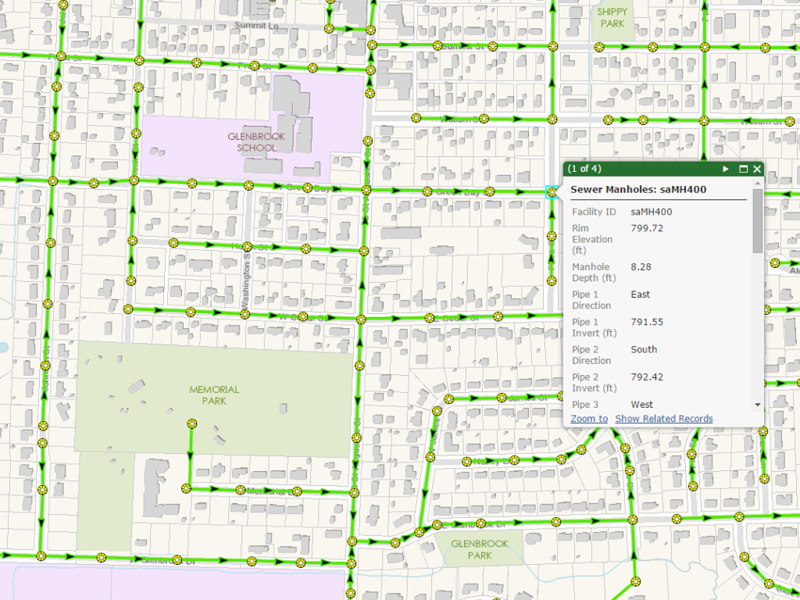 The Village of Pulaski, Wisconsin contracted with Robert E. Lee & Associates to locate all sanitary, storm, and water utility features in the village, and create an online GIS system. 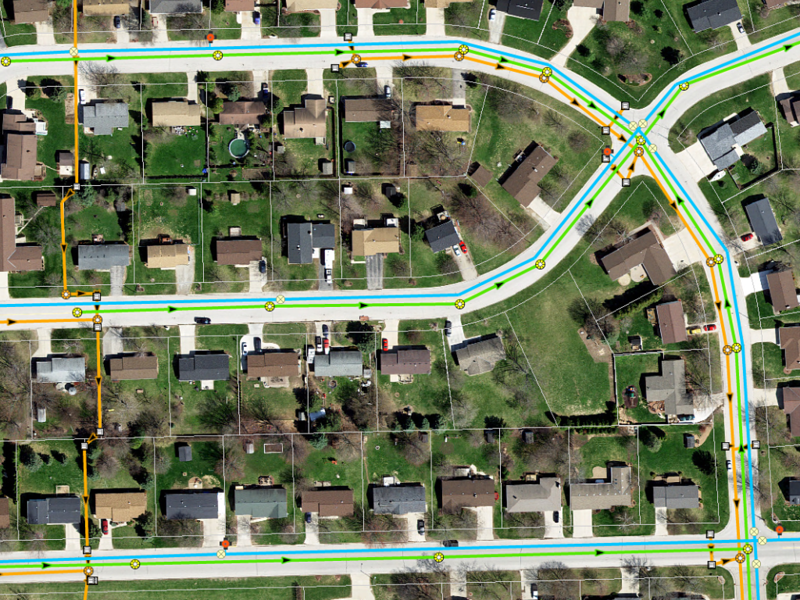 Our survey team first GPS located all utility features in the village. 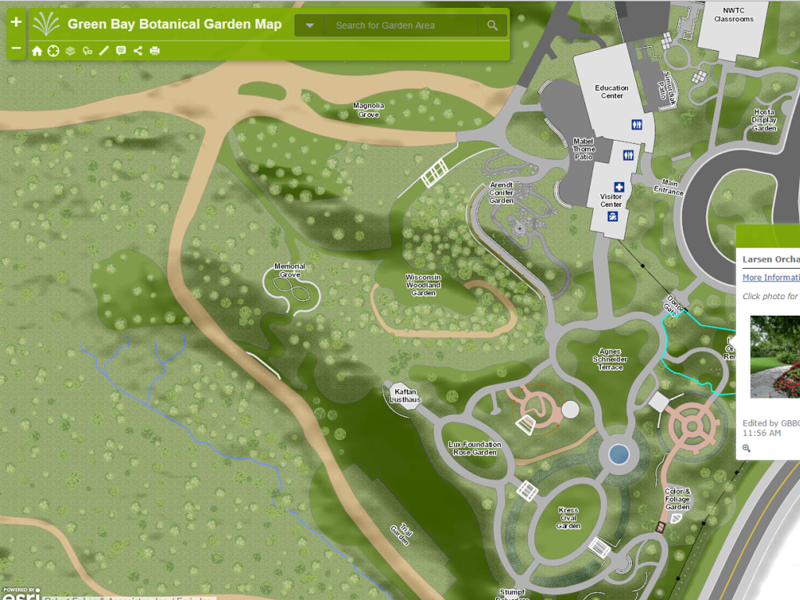 Survey locations were accurate to within 1 cm, and elevations were collected for the features as well. 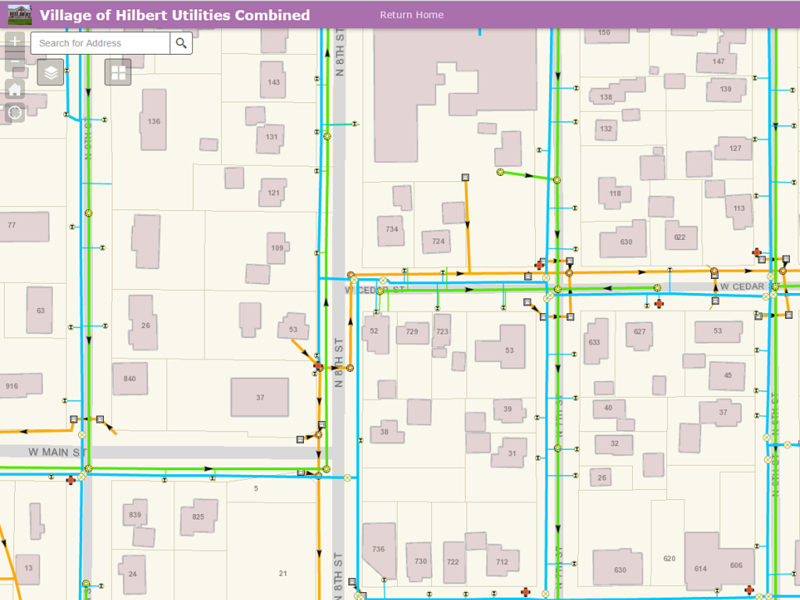 The points were used along with record as-built drawings to input pipes and feature attributes to create a complete GIS system. 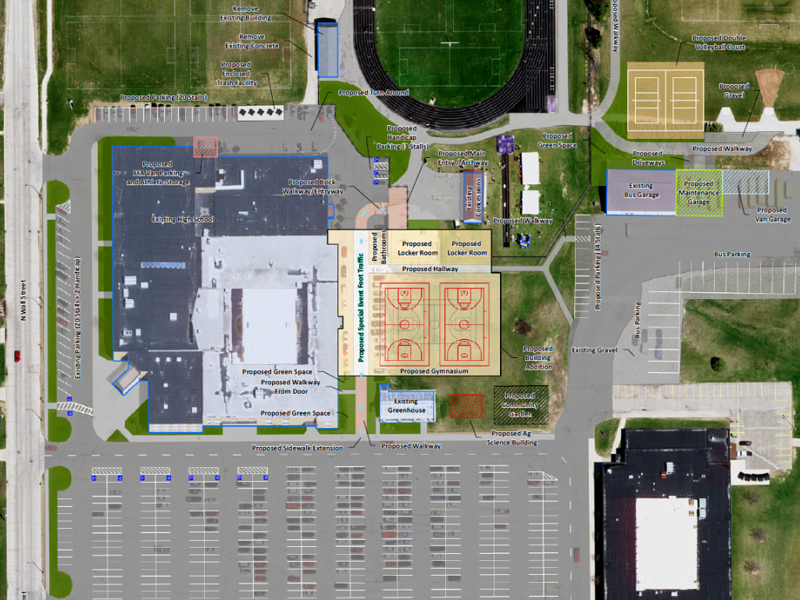 The data was uploaded to the Village of Pulaski's ArcGIS Online account, and maps were configured so the village staff can access the data from any computer or mobile device. 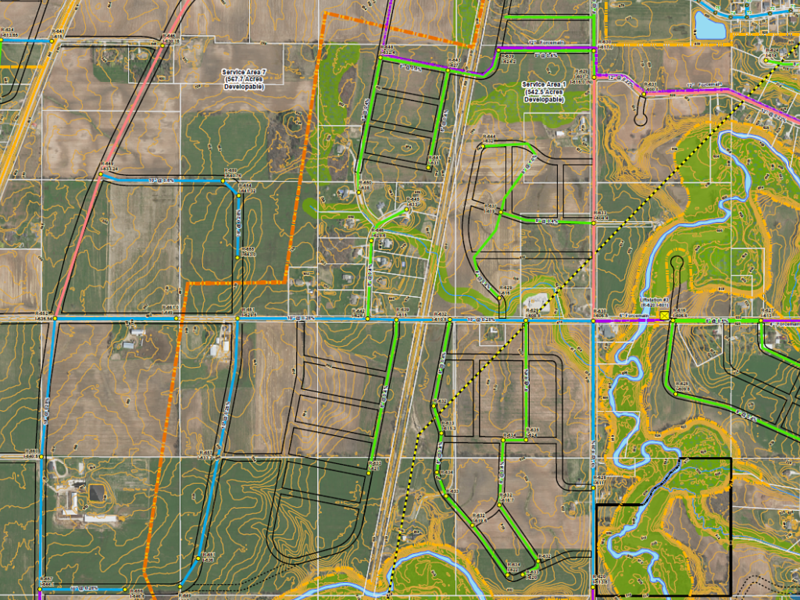 The system was further configured to allow for collection of inspection data in the field, as well as collecting new points for curb stop valves and associated photos.